Don’t forget to take a foldable empty bag when you are visiting the city of Jodhpur, Rajasthan. The markets here offer you a unique collection of bright coloured fabrics, beautifully crafted handmade jewellery, classic embroidered footwear and much more. 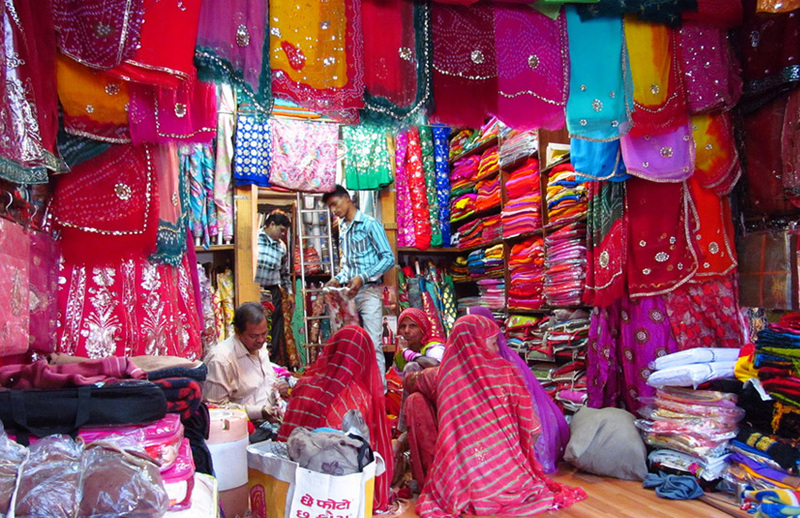 A Rajasthan tour would be incomplete without experiencing the bazaars in Jodhpur. If you are interested in the typical Jodhpur jewellery, this is the best place to visit because the prices are very affordable. Now that you have tasted Rajasthani cuisine, maybe you would like to take home some of the fresh whole spices, especially the local variety of red chilli? The market is also a collector’s delight. You will find some of the most artistic and beautiful antiques here. If you are wondering what to buy in Jodhpur from among such a vast variety, then there is another market you must visit. The speciality here is the Rajasthani bandhej (tie and dye) fabric. They are available as double width material for gowns or small pieces to use as stoles. You will definitely wish to own at least one piece! Also, explore the curio shops to buy some puppets made by the local artisans. While you are busily involved in Jodhpur sightseeing, keep some time to visit the Sojati Gate Market. This is a bustling hive of activity where you can get almost anything in one place. From handicrafts to jewellery, from exquisite fabrics to spices,you can buy something typically Rajasthani. So what’s so special about this market? There is a line of shops where you can get your hands tattooed with traditional Rajasthani henna designs! Literally translated, the name means “shoe market”. But the Mochi Bazar sells a lot more than shoes. Of course, you won’t be able to stop yourself from buying more than one pair of shoes. These shoes, called mojris are made from soft leather. They are embroidered with colourful threads and sequins and look absolutely stunning. You can also buy some hand-crafted bangles. These are made of lacquer and are embellished with beads/sequins. For those who are fond of horse-riding, you must not forget to buy the world-famous “Jodhpurs” or riding breeches. 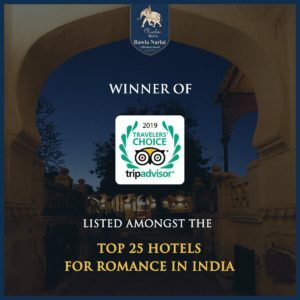 The reception staff of all the 5-star hotels in Jodhpur can advise you on the best place to buy breeches. Whether you are staying at one of the budget hotels near Jodhpur or a heritage hotel, a visit to the colourful bazaars of Jodhpur will make your holiday a delightful experience.